Tasmanian wine set for stardom? Tasmania is “the new, exciting frontier” for Australia, according to Ross Brown, owner of Brown Brothers. Last year the family-owned business bought Tasmanian producer Tamar Ridge. Founder Andrew Pirie has officially retired but, said Brown, “is staying on as a consultant”. Explaining this move outside the Brown Brothers’ base in north-east Victoria, Brown observed: “We’d had 10 years of drought and we’re in the coolest, wettest part of Australia. The acquisition has allowed the company to get involved in the production of both high quality sparkling wine and Pinot Noir, which Brown highlighted as “one variety with a big future”. Indeed, he noted: “It is the only category seeing strong growth in Australia and we didn’t have any”. 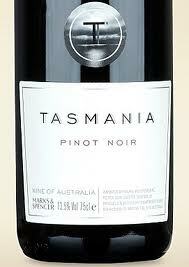 Moreover, Brown set out his belief that “Tasmania can really take the lead for Pinot Noir in Australia”. Likewise, Brown stressed the growth potential for Tasmanian sparkling wines, saying: “Sales are really strong and there are only three or four producers really in the top end”.